A cocktail party Monday night celebrated the work of Irish born fashion designer Don O’Neill of THEIA and 'Artist of the Light', Roisin Fitzpatrick. 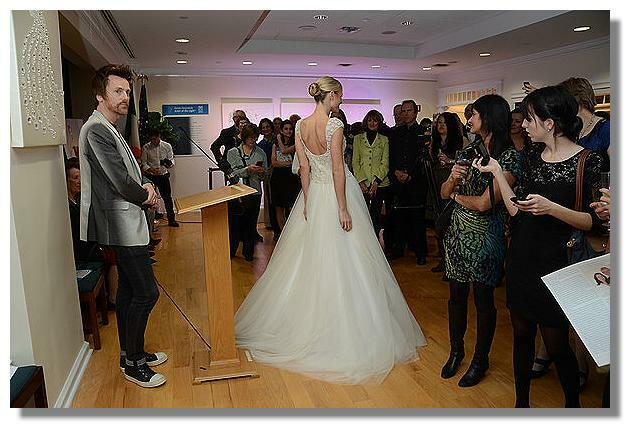 The event was held at the Consulate General of Ireland New York to a crowd of well over 150 people - many of them Irish Americans and fans of the designers. It was a delightful evening featuring Irish cheeses and chocolates, champagne and a fashion show. Some of the faces in the crowd we recognized was actress Angela Bassett; actress/model Melyssa Ford, celebrity fashion stylists Felix Mercado and Cannon as well as Fashion Group's syndicated columnist Mary Lou Luther. Don O'Neill, the Creative Director of Theia, was born and raised in Ballyheigue, County Kerry, Ireland. Don O’Neill initially trained as chef before winning a scholarship to the Barbara Burke College of Fashion Design in Dublin. Upon completion of his studies, O’Neill train along side fashion legends including Christian Lacroix, and designer to the Royal family in London, Gina Fratini among others. After making his way to NY, he began his career 18 years ago working with Carmen Marc Valvo, where he later became Design Director and then Badgley Mischka, where he served as Creative Director for the Badgley Mischka Platinum label, which O’Neill launched. In 2009, he launched THEIA, an eveningwear collection inspired by the Theia, the Goddess of light. In just 2 years, he’s grown the label to include Bridal and now Day Dresses for Spring 2012. 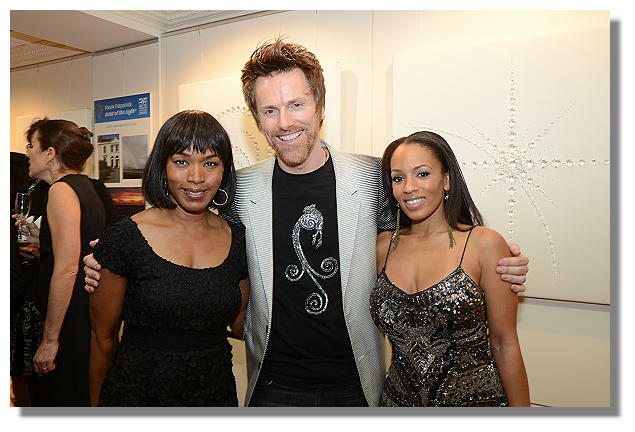 His designs have been featured on the cover of O, The Oprah Magazine, written about in The New York Times and Wall Street Journal, featured in publications including InStyle, and People Magazine, and worn by celebrities such as Oprah Winfrey, Nicole Kidman, Natalie Portman, and Taylor Swift to name a few. His latest fan is Ireland’s new first lady, Sabina Higgins.